Multichannel pipettes for 384 well plate. 16 , 48, 64 channel. 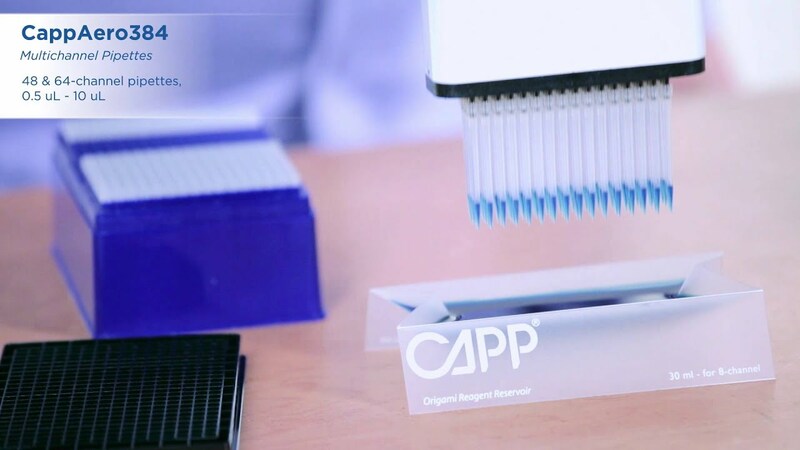 CappAero384 is the ideal multichannel pipette for 384 well plate. Our portfolio starts with the 16 channel pipette, available in 3 volume ranges: 0.2-2µl, 0.5-10µl and 5-50µl and goes further to 48 and 64 channel pipettes, enabling quick and high precision pipetting of 16, 48, or 64 wells at once without the use of expensive, automated equipment. CappAero multichannel pipette for 384 well plate is a perfect tool for liquid transfers from reservoir and deep well plates into 384 well plates, reducing the throughput time and workload. 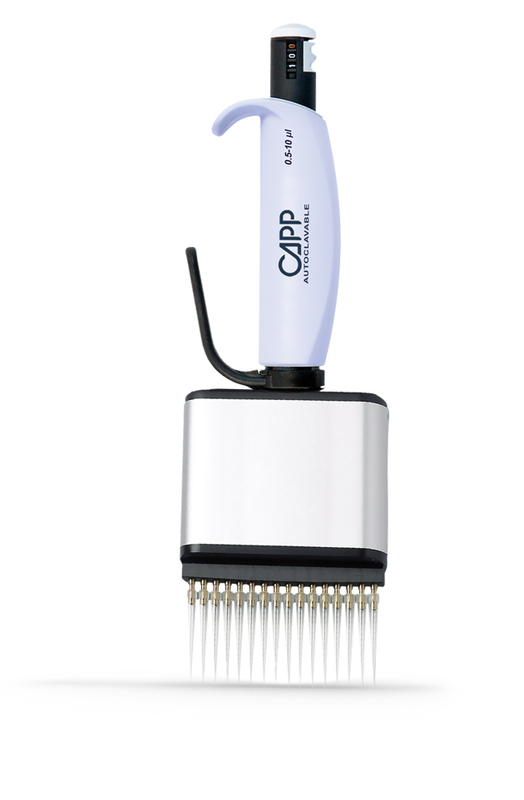 Capp multichannel pipette for 384 well plate offers significant advantages in PCR, micro array, and MALDI spectrometry techniques, featuring lightweight ergonomic construction and enabling consistent and reliable liquid transfer. Register your Capp multichannel pipette for 384 well plate and get the newest product updates via email. Tips compatible with Capp 384 well plate multichannel pipettes. 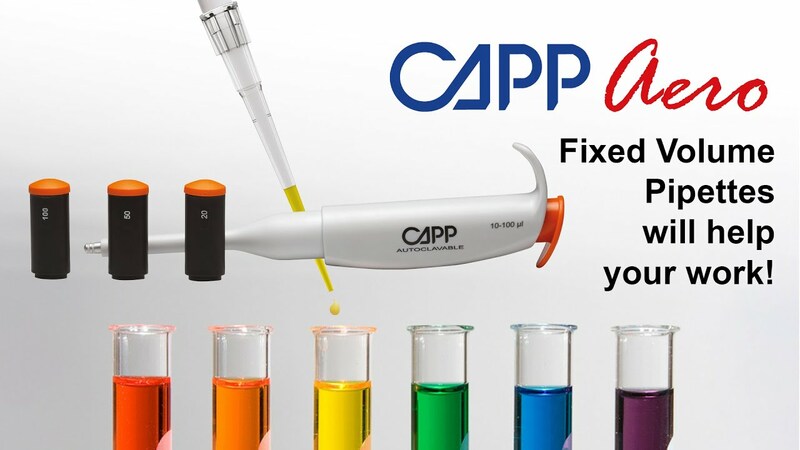 For the best performance of your Capp multichannel pipette for 384 well plate and to ensure that the warranty is fully covered, Capp recommends you to use ExpellPlus pipette tips, which are specifically designed to perfectly fit Capp 16, 48 and 64 channel pipettes. Due to special polymers and an extremely smooth inside surface, the ExpellPlus tips virtually eliminate sample retention, and reduce the binding of DNA, RNA, and Proteins to a minimum. The range also includes a filter tip version to effectively prevent cross contamination caused by aerosol formation (such as DNA), and dangers from toxic, infectious, radioactive or other hazardous materials. Try our 16-, 48- or 64-channel pipettes designed for 384-well manual pipetting. 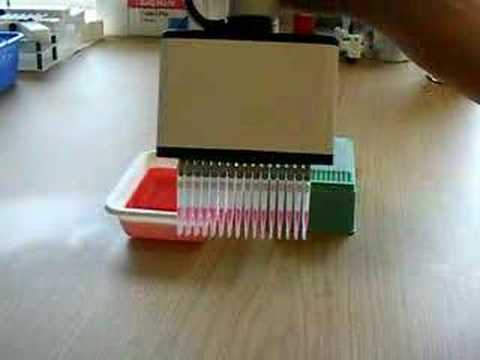 The ideal tool for PCR and qPCR work. Recommended procedure: 20 min. at 121C - no disassambly required. Excelent performance across all channels due to the special design and metallic construction of piston assembly. Expell 384-well PCR plate, natural, 320 pcs.